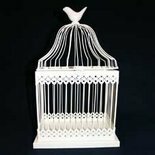 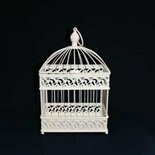 Beautiful tall antique style cream painted decorative square bird cage. 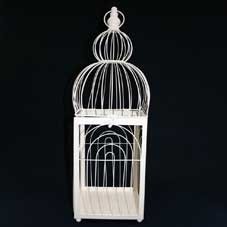 Popular for holding guests' cards at wedding receptions. 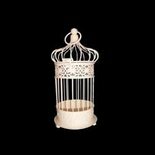 Top removes for easy access to contents.